The wheels of a Skateboard are usually made up of solid cast urethane with very high density that allows for exceptional resistance to wear, chemicals and abrasion, etc. 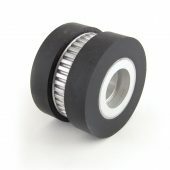 The wheels can come in a variety of hardness depending on your specific requirements, and at Plan Tech, we have them available in different colors and unique custom forms such as 90A, 100A, 95A, 85A etc. We have mastered the art of producing first-rate Skateboard polyurethane wheels having been in the business for over 30 years. We, therefore, have a long list of different styles of Skateboard wheels from which you can make your choices; such as our dual durometer wheels, mixed color wheels, core wheels, and many other styles. Our Skateboard wheels are made with a great level of precision which makes them ideal for use in a wide variety of different environments. And to meet the high volume demands of our numerous esteemed customers we also apply speed during the manufacturing stage of our wheels with unique custom pieces of equipment. The Skateboard wheels offered at Plan Tech can be relied upon for their remarkable grip and durability. It doesn’t matter what your specifications or requirements are, our team of engineers (who are second to none at what they do) can take your sample, sketch or idea and turn it into finished products that offer a mind-blowing ride!